and makes up more than 21% of the housing market here in Calgary. However, life in a condominium isn’t all easy-breezy and fancy-free. With the surge in popularity that condo living has seen over recent years, we’ve seen a bit of misinformation starting to spread about just what this sort of a lifestyle entails. To dispel any rumours or falsehoods, then, we decided to put on our best Adam Savage impression and bust the top 5 myths of condo living. Buckle up! A lot of folks have the idea that condo life is like living in a standard, detached home, but with less responsibility. True, your condo fees do often take care of some of the less-than-desirable chores associated with owning a home (goodbye, snow shovel! ), but there are trade-offs that come along with this newfound freedom. Life in a condominium means living close-quarters in a congested, multi-family area. Further, you now have partial ownership over a building that requires upkeep and care. Condo living isn’t necessarily carefree – but it’s a great way to live, if you can get along and work together with your fellow community members! This myth is actually partially true. Condos certainly have the potential to be a smart, economical choice, and can pack a lot of value per square foot – but only if they are managed properly and vigilantly. Responsibility must be shared between the condo company and the board to ensure that regular (and ideally, preventative) maintenance is being done. This will help to keep smaller issues at bay, and to avoid running into larger, more urgent issues that could be detrimental to the value of your investment. This is just flat-out false, incorrect, and misleading. Condos are not easier to sell than houses, and are often outshone by single family homes when it comes to resell value. That isn’t to say that they’re unsellable – as we mentioned earlier, condos make up a significant and growing chunk of the real estate market in Calgary – but, they can often be a more challenging sell than your standard, detached house because of other factors external to your specific unit. Once again, this is a myth that we are more than happy to put soundly to bed. Condo living is just as much for seasoned home owners as it is for those looking to break into the real estate market for the first time. It takes only a brief look at the current condo market to see just how many listings are meant to appeal to families, executives, empty nesters looking to downsize, and more. When it comes to life in a condominium, there’s something out there for everyone! Circling back to the first myth we tackled, condo life is all about communal living and mutual respect. When tenants opt to ignore these common courtesies, however, real trouble can start brewing. This is never seen more clearly than in the instance of a noise complaint dispute between two residents. These situations can be difficult to fix and often turn into long, drawn-out feuds fueled by he-said, she-said arguments with little evidence or room for arbitration. The best line of defense is to be kind and courteous to your fellow condo dwellers, follow the rules laid out in your complex, and keep the flow of communication open at all times – that way, any problems can be nipped in the bud before they get too far out of control. There you have it, our top 5 condo myths, busted! Did we miss anything? 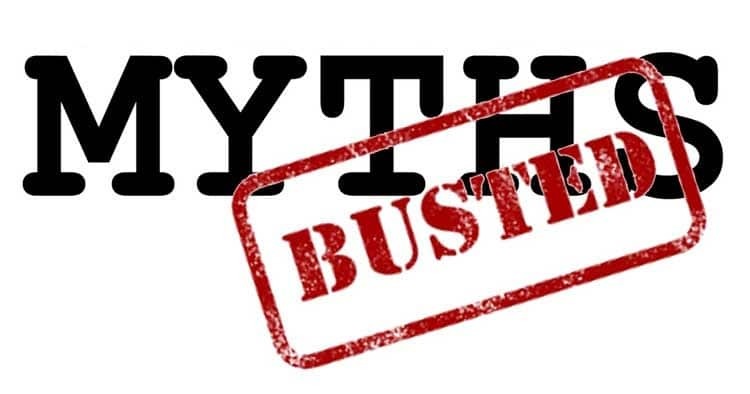 Do you have a myth you’d like to dispel? Be part of the conversation, and join the Alberta Condo Owners for Change today to chat with folks about what life is like living in a condominium. Get the information you need, straight from people who rent and own right here, in Alberta!